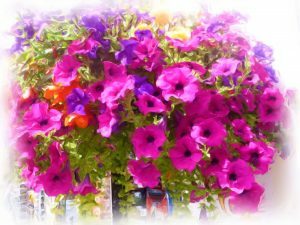 A little girl got me thinking about the power of flowers when she said “Flowers are God’s little angels sent down to cheer us up”. 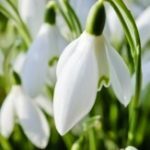 Recently, two thousand people were asked to name their favourite flower and I was surprised that the snowdrop was not in the top thirty. Although this little flower may not have featured in the survey, I am sure it would top the most welcome and the most talked about flower. After a cold, dark winter, the sighting of a snowdrop in bloom will lift most hearts. A sign of hope that the cold and darkness will soon be behind us and spring will be with us. And how many once seeing their first snowdrop do not go around telling others of their sighting. The snowdrop is a symbol of hope. Just several centuries or more back with no street lighting, central heating and food being scarce in the winter. What a terrible and depressing time …. Then suddenly the first snowdrop is blooming is spotted. Just imagine the joy and happiness that would have spread among communities. Soon light, colour, warmth and an abundance of food will be with them. Most legends look at this little flower in a positive way, but not so in the Victorian era. To the Victorians, the snowdrop represented death and even considered it bad luck to bring snowdrops into the house. The sight of a single snowdrop bloom was considered an omen of death. These days I am sure we all look on the snowdrop as ‘a new beginning’.